The first step is the complete the application online. 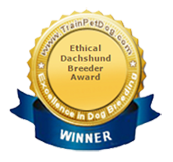 This is designed to give us some information about the setup in your home and your knowledge of dachshunds and their special care. The amount is $200, you can use the paypal link here OR on the application page. It takes so much longer to mail a deposit so we recommend that you use the paypal bar for a deposit. It takes both credit and debit cards and is a safe transaction. If a puppy is posted on the website it is usually available but if we have gotten a deposit just before you, then I would just refund the deposit back to you. That deposit holds the puppy until they are ready to go home. Puppies go home at 8 weeks if you are a close drive or 9 weeks if you need shipping or have a longer drive. The puppies will let me know when they are almost ready to go home. They have to be eating dry food and have a firm tummy as well. 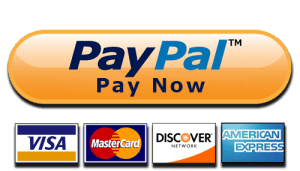 We do not charge the 4% fee for paypal on the deposits but if you are paying the full amount on the website, we ask that you add the fee of 4% for the remaining balance. If we are shipping the puppy, please send the final balance several days before shipping so we can purchase everything we need prior to shipping. if you are picking up, you can pay the balance in cash and save the 4% in fees. What is included with your new puppy? 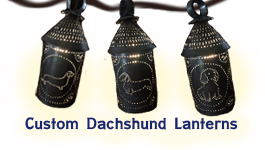 Below is a list of items we include with every puppy adopted from Heartfelt Dachshunds. A shot record on vaccines and wormers given to your puppy while with us. Vaccines at 5,7, and 9 weeks and if they are still with us, 12 and 16 weeks. Wormers are given every 2 weeks and heartguard started after 12 weeks of age. A bath so it smells like our signature baby powder fresh scent. 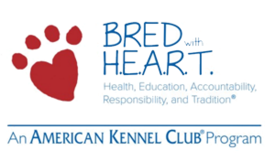 The AKC papers if we have them already and we mail them to you if they are not. Information and samples on the Life’s abundance products that we use. A small bag of food to get you started. Travel crate (included in the shipping price if the puppy is shipped) if you are picking your puppy up by yourself you will not want to hold the puppy while driving on your lap. If the puppy were to jump down by your feet it could cause a potentially deadly accident. USDA regulations prohibit us from shipping our dogs to buyers UNLESS they will be used in a breeding program or for showing. We can no longer ship companion/pet-only puppies to our buyers. I can no longer ship to companion/pet-only homes. I CAN still make arrangements for meeting AT the airport and you fly the puppy home or you can come straight to my home. Buyer is responsible for shipping expenses – $375 for Delta total for one puppy and $425 for two or you can fly with your puppy and take him home under your seat!! 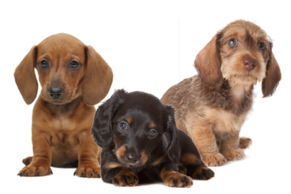 Puppies are shipped at around 9 weeks of age or older. The puppies are shipped with a second set of shots given at 9 weeks along with all the wormers and a blanket. Puppies should have a vet check-up when they arrive within 72 hours or you can choose to use the health certificate provided on the crate from our vet. Your new puppy has been raised on Life’s abundance premium food and the wellness supplement. It is a premium food with no wheat, corn, soy, or by-products. Providing a higher nutritious valued food helps to prevent fast growth, fewer bone problems, fewer vet bills, and promotes longer life. The wellness supplement is formulated to be a new approach to add to the overall nutrient intake that a dog’s body needs. It is the perfect complement to your dog’s diet. It absorbs and assimilates exactly what it needs. 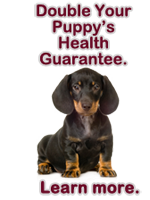 If you continue with Life’s Abundance Nutritional System when you get your puppy home, we are extending our guarantee on the puppy’s health as well. We have visited the manufacturer, traveled with Dr. Jane Bicks and fell in love with her passion for what she does. We have become passionate about Life’s abundance as well watching what it does for our animals and we think you will love it too. Buyer acknowledges and affirms that Breeder has recommended for the benefit of the puppy, Life’s Abundance Dog Food and Supplements; however, the use of these products is merely a recommendation of the Breeder, not a guarantee of their effectiveness of efficiency.